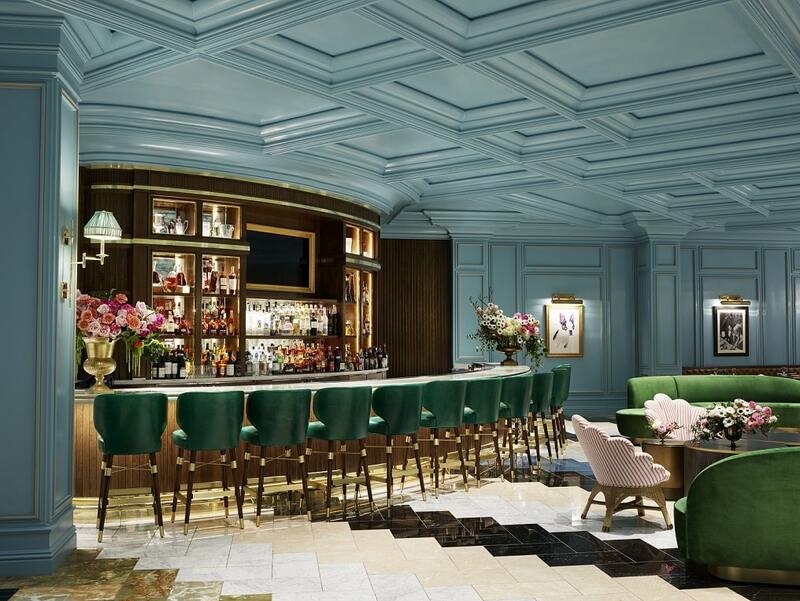 Bellagio is proud to welcome Sadelle’s, SoHo’s popular vintage-style restaurant from Major Food Group and one of the most desired reservations in New York City, to the resort’s award-winning culinary portfolio. 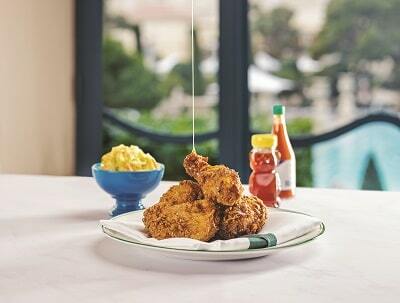 In a coveted location overlooking the exquisite Bellagio Conservatory, Sadelle’s brings an elevated perspective to all-day dining in Las Vegas through culinary craftsmanship forging a new identity for approachable cuisine normally found in cafés and bakeries. The restaurant’s stunning locale, Ken Fulk design, fun vibe and legendary menu – including bagels and smoked-fish platters, triple-decker sandwiches, burgers, salads and all-day caviar offerings to name a few – will make it a destination experience for tourists and locals. 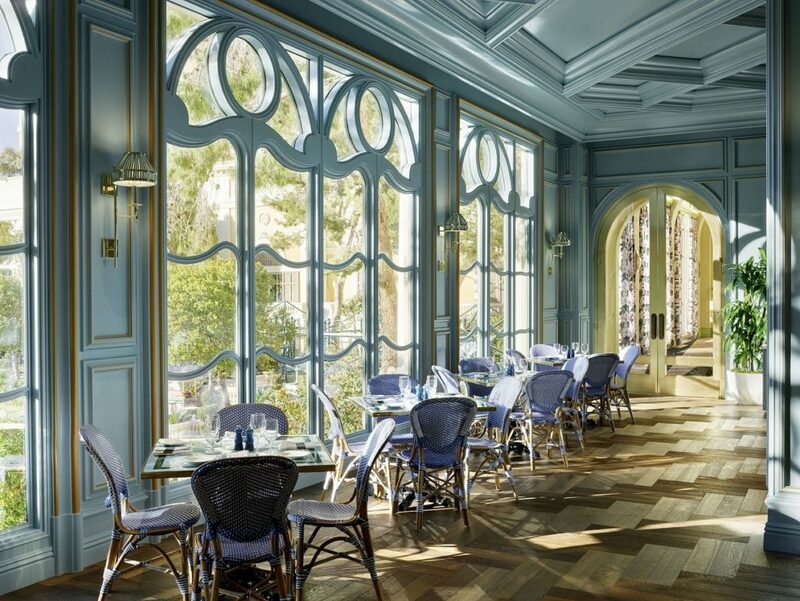 The 10,000-square foot space envelops guests in a timeless combination of colorful pastels and bespoke touches transporting diners back in time to a grand café along an old European boulevard. 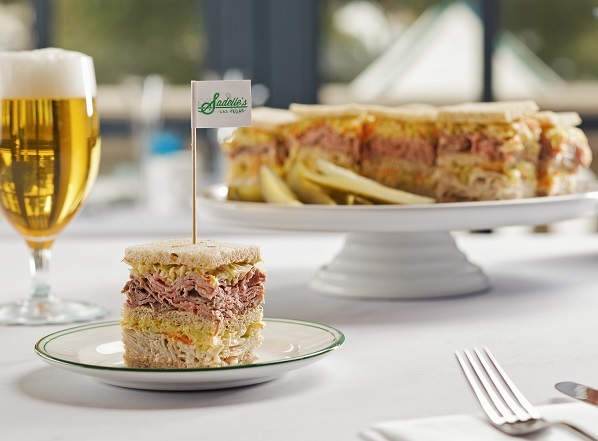 Sadelle’s brings the perspective and culinary acumen typically only synonymous with fine dining to the realm of New York City style classics. Throughout the day and night, impressive presentations of hand-rolled bagels, lox towers, chopped salads, sandwiches and other favorites translate the well-known genre into an unforgettable feast. Roaming Carts – The dining experience begins with Sadelle’s Pastry Cart, displaying a selection of baked goods including Sticky Buns, Raspberry Donuts, Chocolate Chip Cake and more. 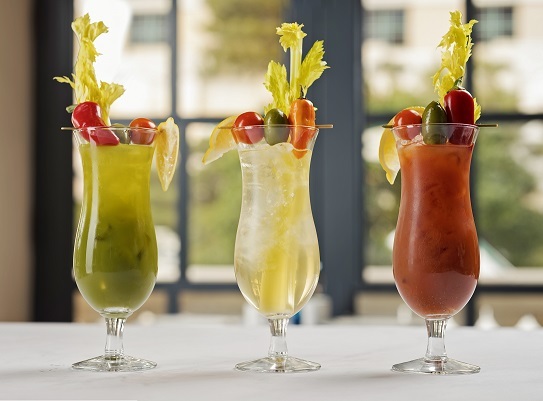 A roving Bloody Mary Cart, stocked with fresh pressed juices and house-infused liquors, visits tables to stir up inspired variations such as the Classic, with infused horseradish vodka; the Green Bloody, with green olive vodka, and the Ghost of Mar, with black pepper vodka. Decadent Dinners – Mainstays from the original New York City location – such as the Spicy Fried Chicken with acacia honey and coleslaw – join new signature supper offerings created by the culinary team, including the Grilled Branzino with Meyer lemon and sesame spinach and a New York-style Ribeye with smothered onions. Tableside Service – Sadelle’s presents tableside experiences offering a robust selection of chopped salads including the Waldorf, Beverly, Freddy, Greek, Cobb and Lobster, which are tossed tableside. The Whole Warm Lobster adds yet another dimension to the show, as the crustacean is de-shelled and dressed in front of guests’ eyes. Breakfast Classics – From the approachable Classic Egg Sandwich with fried eggs, bacon, and Muenster cheese, to an opulent Benedict topped with caviar, Sadelle’s Towers showcase a selection of smoked fish, including smoked salmon made in-house, as well as other bagel accoutrements. Other favorites include Cheese Blintzes, French Toast, and Sadelle’s famous Blueberry Pancakes. To create a theatrical stage for Sadelle’s service befitting of Bellagio’s grandeur, Major Food Group worked with designer Ken Fulk, the visionary architect who brought the original SoHo location to life. For the Las Vegas iteration, Fulk took the core elements of Sadelle’s in New York City and augmented them in a stylized manner inspired by the exuberance of Belle Époque Paris. Extravagant Entrance – Upon arrival, guests encounter a beautiful bakery cart, accented by a crystal chandelier and herringbone parquet floors, and surrounded by paneled blush walls. Moving into the space, the wall palette shifts to Sadelle’s signature cerulean hue as a whimsical lacquered pastry cart, enamel-topped bistro tables and woven café chairs set the tone for the boulangerie experience throughout the lower level. Main Dining Room – With welcoming banquettes, upholstered seating and intricate floors featuring five types of stone in a bold herringbone pattern, the dining room is refined and glamorous. Intimate lighting, expertly attuned for leisurely brunches, late-night suppers and everything in between, complements soft furnishings, wood tables, brass accents, mirrored walls and coffered ceilings, allowing the space to seamlessly shift from a bright and airy brunch spot to an intimate evening destination. Elevated Bar and Lounge – Rounded lines, like the demilune bar, clamshell lounge chairs and serpentine sofas set the bar and lounge at Sadelle’s apart from the rest of the restaurant. Softly upholstered furnishings invite parties of all sizes for cocktails and late-night lounging, while spacious cocktail tables can accommodate guests seeking appetizers, bar snacks or sensational sips. Private Dining Room – Like many of Fulk’s hospitality projects, the private dining room offers its own evocative experience. In a nod to Art Nouveau, the carpet undulates into a radiating starburst pattern and the upholstered walls feature a feathery botanical print. The restaurant is open for breakfast, lunch, and dinner Monday through Sunday from 6 a.m. – midnight. To make reservations for 10 or more, call Sadelle’s directly at (702) 693-8401.